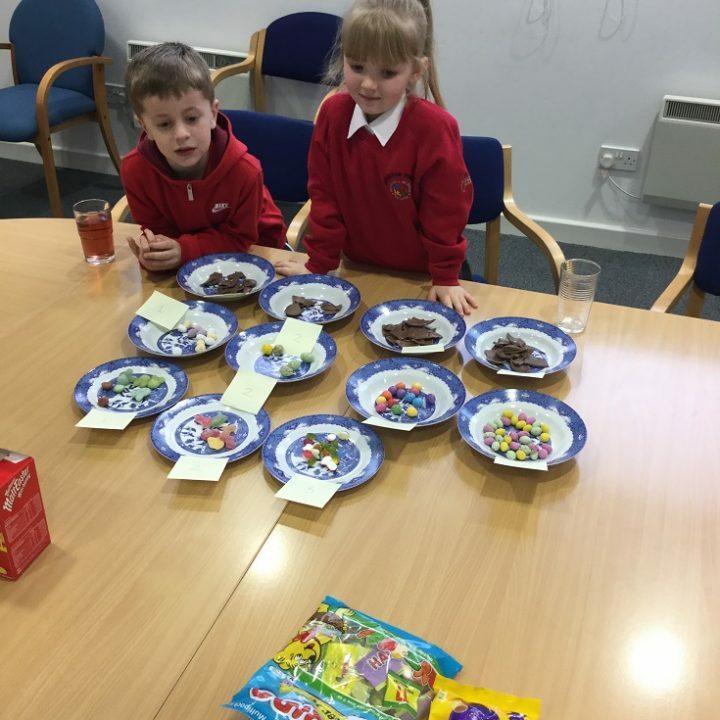 Our Little Experts Jayden and Imogen were on hand this Easter to test the Easter eggs, mini chocolate eggs and treats on offer at Hillstreet this year. There was a mixed bag of results with Thorntons and Cadbury’s packaging scoring well, while in the blind taste test Marks & Spencer and Nestlé eggs came out on top! Also on offer were Paw Patrol chocolate eggs and Haribo Easter treats from Bargain Buys, Mixed Up Bunnies jelly treats from Marks & Spencer, and the equally popular Cabdury’s and Smarties Mini Eggs.